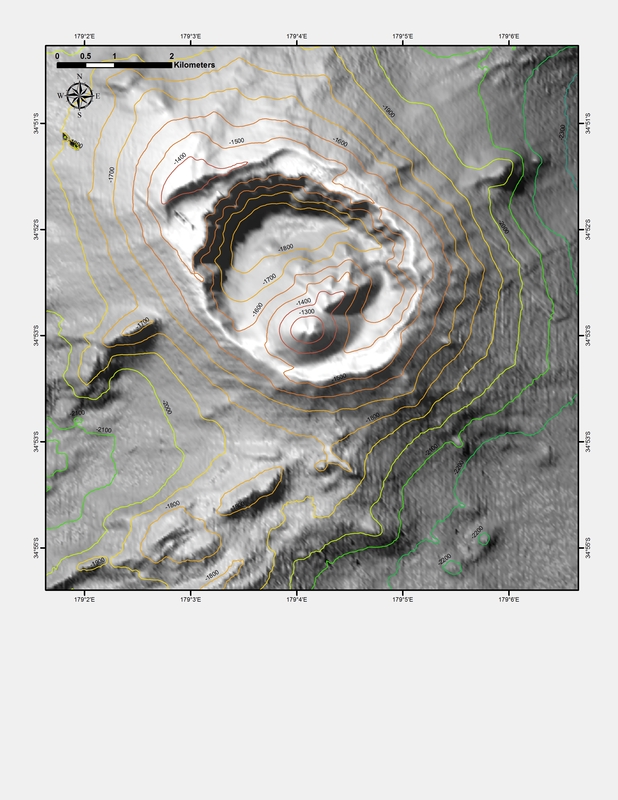 Actvity Summary: Students will learn how to read a contour map of Brothers volcano, and then create a 3D model out of designated supplies. Contour maps are representations of part of Earth’s surface that use contour lines to show either elevation above sea level or depth below sea level. 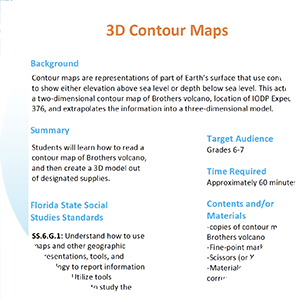 This activity uses a two-dimensional contour map of Brothers volcano, location of IODP Expedition 376, and extrapolates the information into a three-dimensional model.